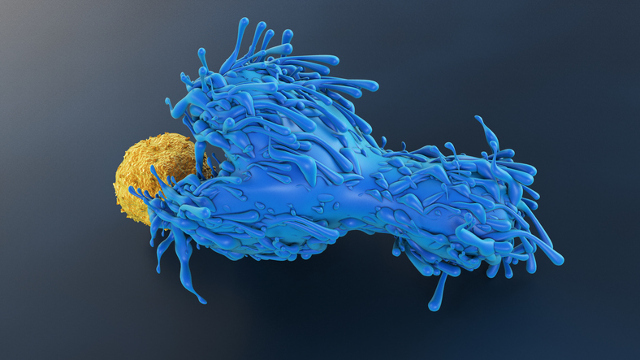 An illustration of a CD4+ T cell engulfing a dendritic cell. 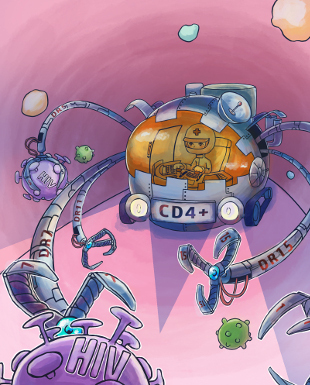 A new study finds that specialized receptors gave CD4+ T cells the ability to kill HIV-infected dendritic cells in culture.ISTOCK, LUISMMOLINAResearchers trying to develop new treatments, or even a cure, for HIV have searched for strategies by looking to the tiny percentage of the HIV-positive population with a rare gift: the ability to naturally keep the virus’s numbers low, without a need for antiretroviral therapies. 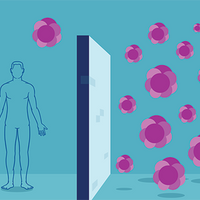 In doing so, researchers have discovered differences in the behavior of immune cells between these “elite controllers” and patients who require drugs, suggesting it could be possible to fine-tune the immune responses of noncontrollers to help them fend off the virus. 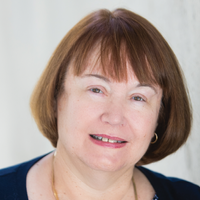 VANETTE TRAN“If we think in terms of transfer and in terms of therapeutics, this is really good, because that means we can use this TCR transfer to T cells in different individuals who have different genetic backgrounds,” Gras tells The Scientist. 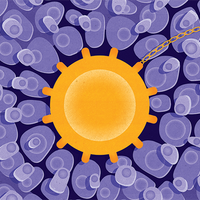 Her group plans to begin testing the idea soon in mice by genetically modifying their T cells to produce public TCRs, and see whether such an immunotherapy might enhance the animals’ ability to fend off HIV. M. Galperin, “CD4 T cell–mediated HLA class II cross-restriction in HIV controllers,” Sci Immunol, 3:eaat0687, 2018.